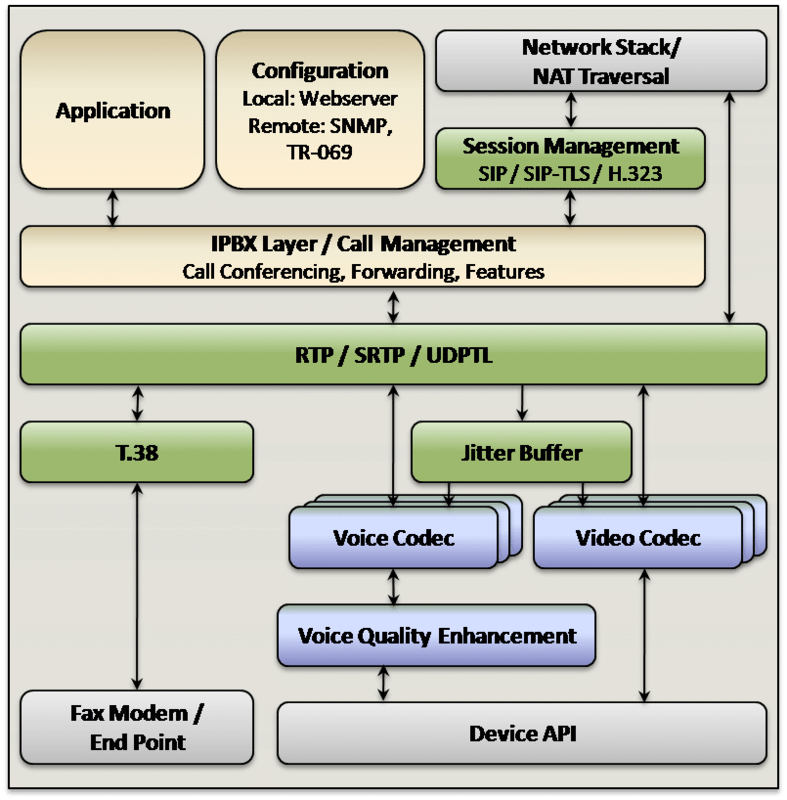 VOCAL’s VoIP Reference Design enables licensees to rapidly develop standards-based, next-generation Voice over IP (VoIP) products with an extensive feature list and simple upgrade/expansion paths. Our VoIP terminal adapter solution far exceeds the competition in terms of cost advantage and time-to-market potential. Developers can achieve desired channel density while readily supporting integration of new features and modules. For VoIP to analog adapter applications in harsh environments, product component choices can include industrial parts designed for temperature ranges from -40ºC – +85ºC. VOCAL’s Voice over IP functionality is available as part of a larger integrated Voice/Fax/Modem over IP solution. VOCAL’s state-of-the-art On-One™ DSP technology can significantly reduce VoIP terminal adapter materials cost. The highly optimized software runs all DSP functions and application protocols under its own simple network operating system where all high density processing can be performed on a single processor. Our VoIP Reference Design can also scale for use with a full operating system such as embedded Linux. By offering a complete and customizable hardware and software VoIP terminal adapter solution as well as our On-One™ DSP technology, VOCAL can provide developers of voice and unified communications applications unsurpassed advantages in terms of cost and time-to-market. Contact us to discuss your VoIP application requirements.